Is there anything prettier or more bridal-y than fluffy peonies in the spring? 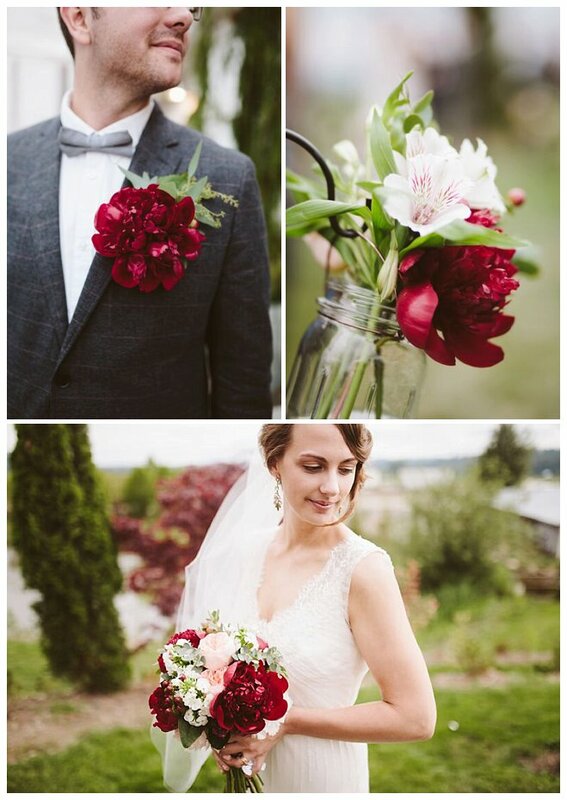 Maybe I'm partial, since peonies were basically the unofficial theme of my own spring wedding. There's just something so positively romantic about those flowers and the season where things are springing (No pun intended...Okay, maybe.) back to life. 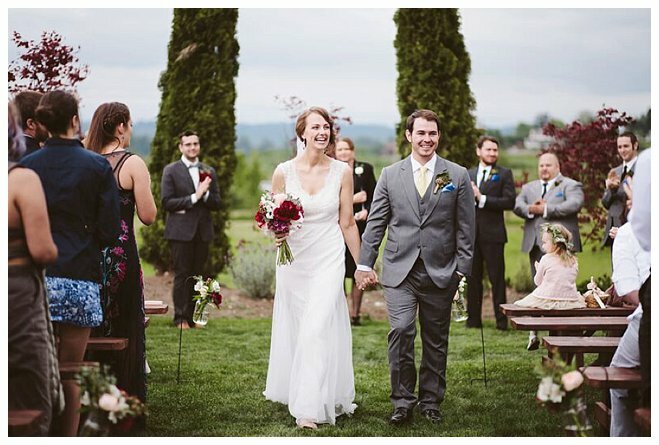 This couple chose to say "I do" in late May at Snohomish's Dairyland and then celebrate with a laid-back reception (taco truck and epic dance party included) with their closest family and friends in the venue's breathtaking whitewashed barn. Really, what could be more romantic than that? 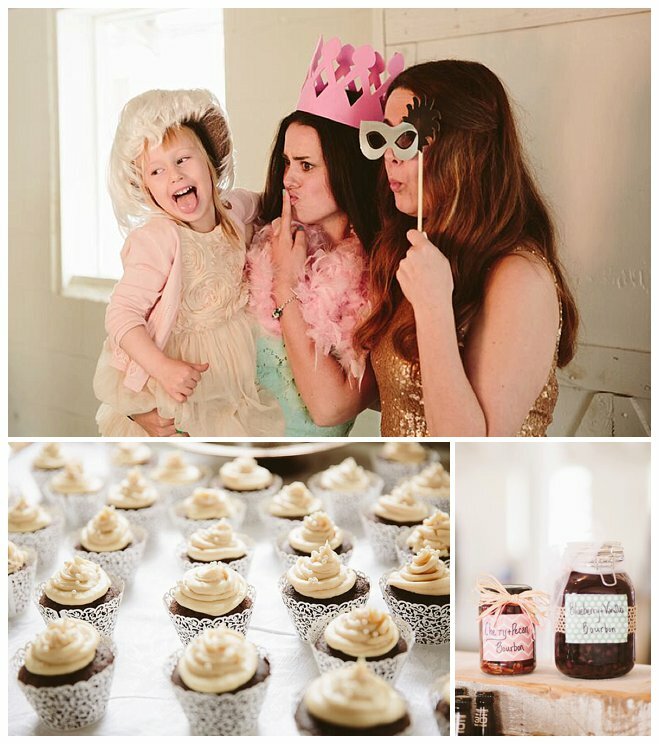 "You will never find a sweeter, more loving, or more generous couple than Matt and Laura. 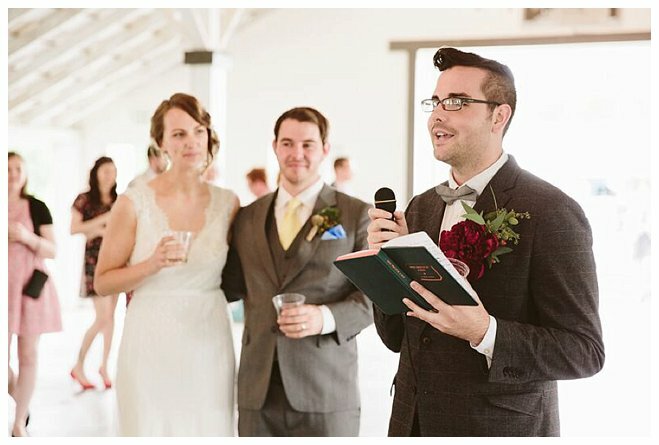 Their wedding was packed full of important and personal details including the photo booth hand-crafted by Matt, and the amazing performance put on by Laura's grandfather, who's music has always brought her family together. 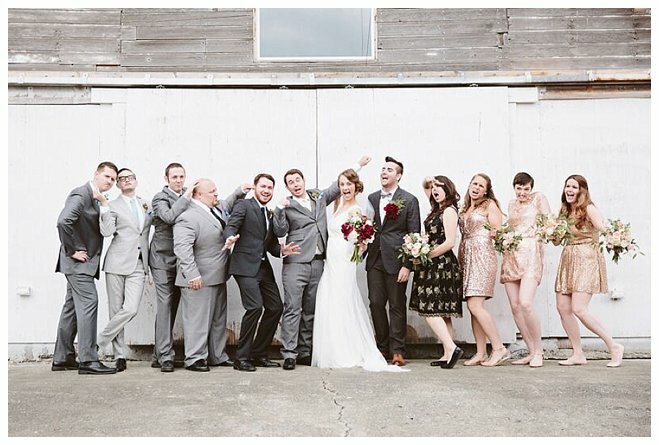 Other details like the instant cameras, the taco food truck, the fire pit, and an epic dance party reflected all the fun that Matt and Laura have together in their own relationship. 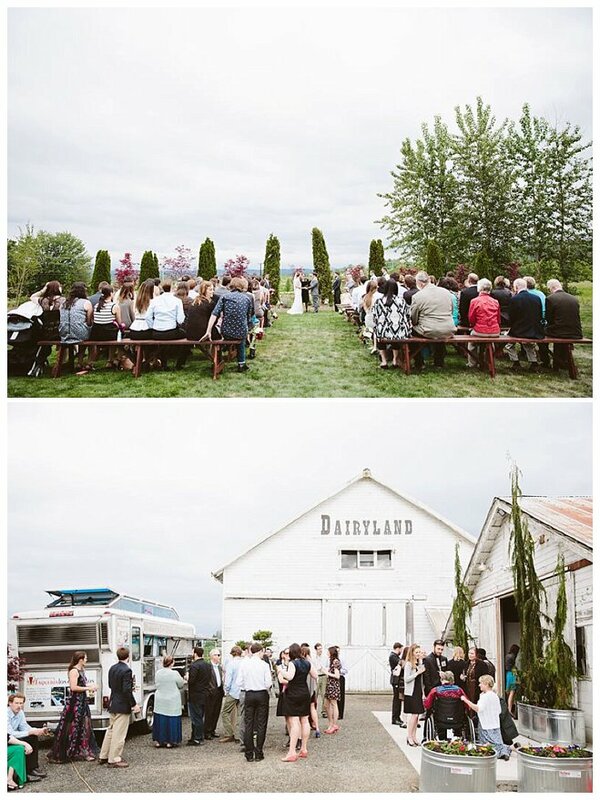 If I were to add anything to this, it's that Dairyland was the perfect venue for this couple. Amee and John really bring it for all of their clients and are dedicated to making improvements for their awesome new spot."